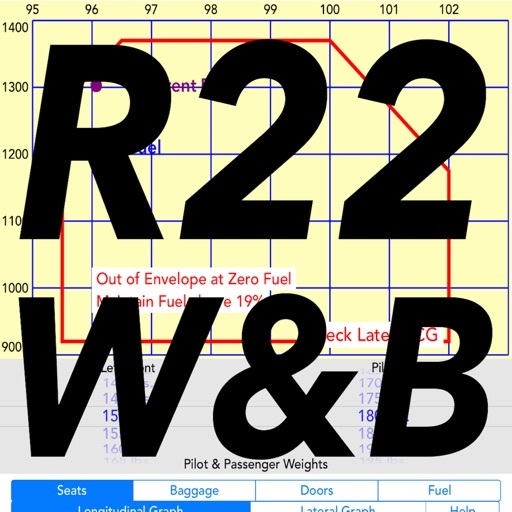 R22 Weight & Balance graphs the center of gravity and weight with current fuel and at zero fuel. Want to know how heavy your passenger can be with your 200lbs. in the pilot seat? This app will tell you at a much lower cost. 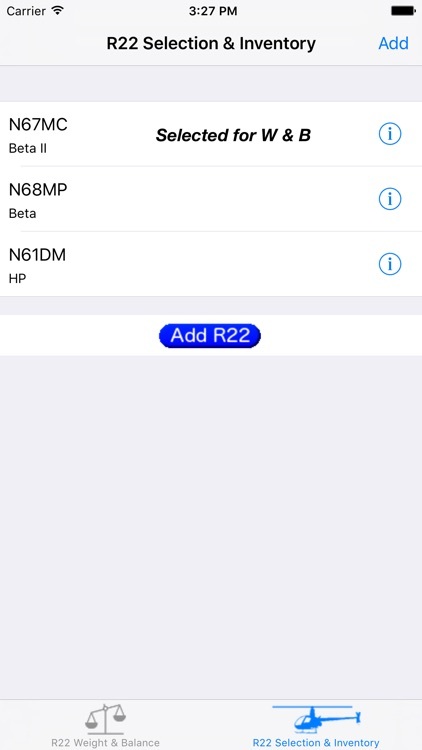 Note: This app DOES NOT support serial numbers prior to 256 with “early style” seats. 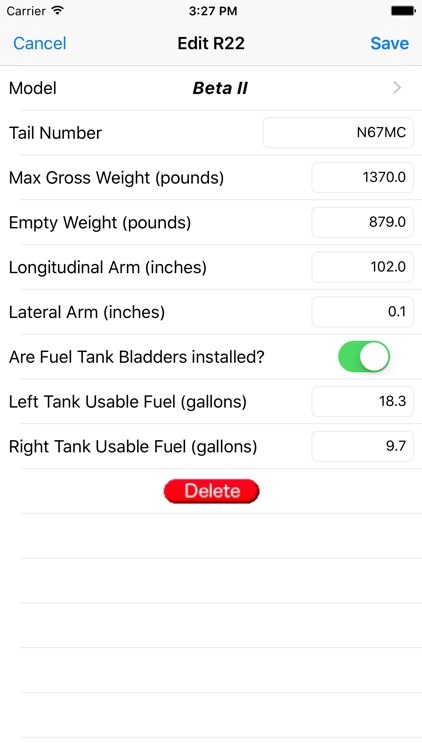 This app will be a great help to new R22 pilots that need to quickly figure out if they're just going to be too heavy (or too light). 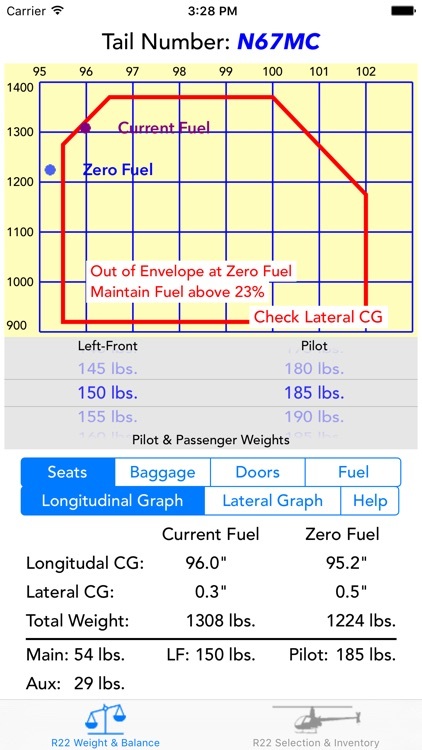 It will also tell you how much fuel must be maintained to stay in CG in cases where it’s out of CG at zero fuel. 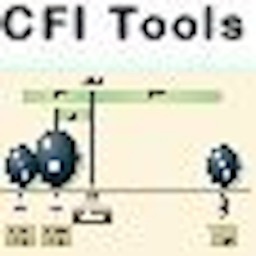 It’s also a great educational tool for new pilots to quickly see how much influence a seemingly insignificant amount of weight has on CG. 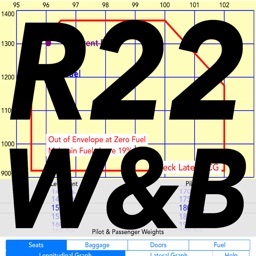 You’ll quickly find out why R22 pilots pretty much have to be under 180lbs. 150lbs. 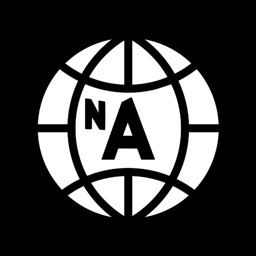 is even more like it. 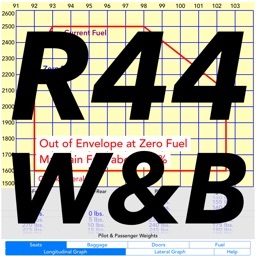 You’ll also discover why the R22 CG envelopes are beveled at the corners. The primary data displays are Longitudinal and Lateral graphs. You can look at the raw numbers if you want to, but it’s designed to give you CG data in graphical form. You’ll find yourself hardly ever looking at the raw number display. It is intended to be run on iPhone 5 and larger up through an iPad Pro. On an iPhone 4s, the graph will be compressed (good excuse to trade up). 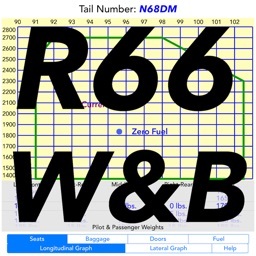 •	Shows CG for both zero fuel and current fuel. 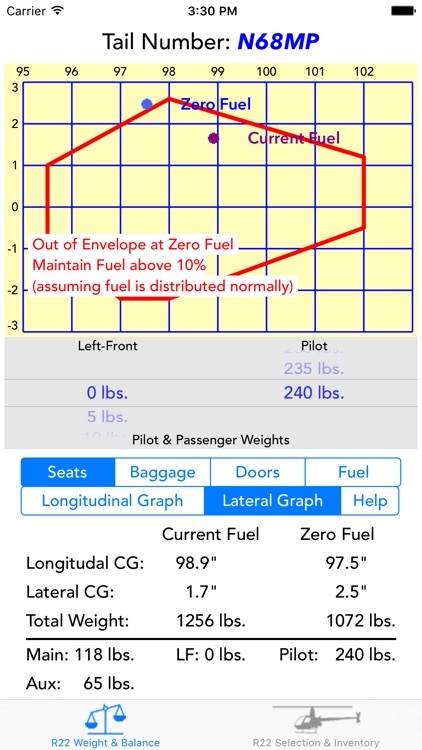 •	If out of CG at zero fuel, it shows the minimum fuel that must be maintained to stay in balance. •	Longitudinal and Lateral CG graphs. •	Holds multiple R22 helicopters for those who fly more than one and can easily switch between them. •	Accommodates the Standard, HP, Mariner, Alpha, Beta, and Beta II. •	Individual weight entries for all seats and baggage compartments. •	Adds seat & baggage compartment weights and alerts pilot if a location is over allowable weight. •	Accommodates doors on & off; makes more difference than you would think. 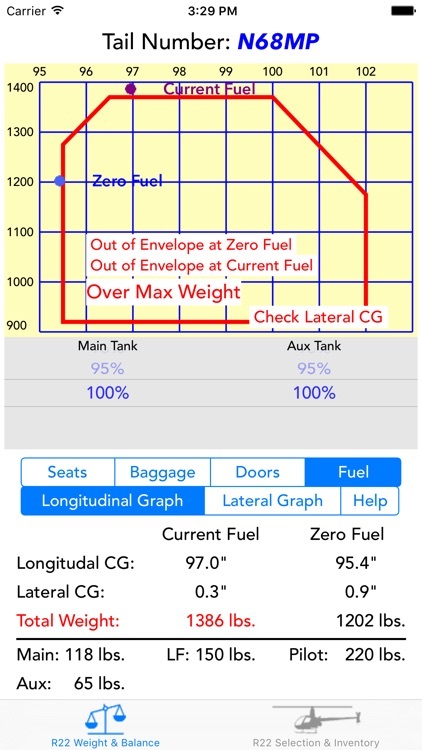 •	Shows overweight warnings for the overall helicopter and combined seat & baggage. •	Runs on iPhone 4s through iPad Pro. 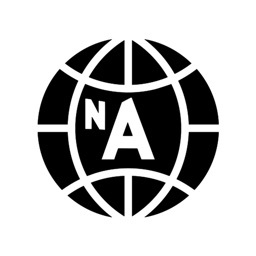 •	Light weight app: uses little space and low CPU usage.